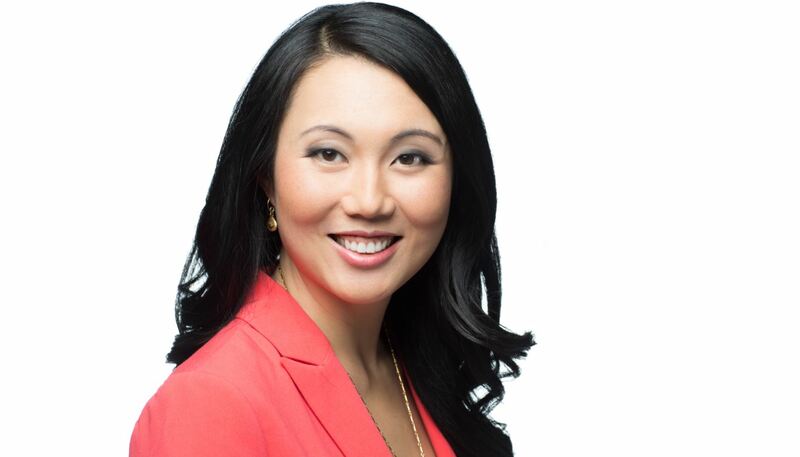 Multiple Webster nominee and RTNDA winner, Miyoung Lee rings in her fourteenth year with CBC as the host and producer of CBC Vancouver News at 11 p.m.
Miyoung began her career as an intern at CBC the day before the September 11 attack on the World Trade Center in New York. And, so began her journey into reporting some of the biggest stories of the next decade, including the Vancouver 2010 Olympic Games, the Queen of the North sinking and the taser death of Robert Dziekanski. Miyoung worked as a producer and director for CBC Radio One’s The Early Edition before moving into television as a reporter and producer with CBC Vancouver News. A graduate from both BCIT, with a Broadcast Journalism Degree, and UBC, with a B.H.A. Honours in History with a Minor in English Literature, Miyoung strongly believes in giving back to the community. Miyoung is married with two daughters and spends much of her spare time mentoring high school students aspiring for a career in Journalism, as well as volunteering with the Richmond Student Parent Colt Program, an organization that supports teen mothers to complete their high school education.